We are delighted to welcome you to your King’s Sutton Primary Academy online account. Your account will allow you to check balances for trips, swimming, music fees etc and to make payments to the school. 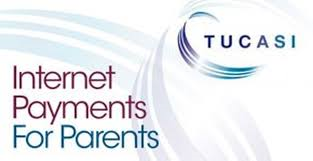 You can use the same account for any children you have at this school, and for children at other schools which also use Tucasi secure School's Cash Office Payment system. If you are new to KPSA, Nikki Ward our Bursar will soon be sending you your unique link code. Visit www.scopay.com and Register as a New User. Follow the instructions on the screen to enter your details and add the unique online link code for your child when prompted. Note: Online link code is for one time use only. It is not needed once the account has been activated. Log on to your account using your existing username and password. Select the Link Accounts option from the Your info menu heading and enter the unique online link code to add your child's account. Please contact Nikki Ward in the main school office if you require any further assistance or if you have misplaced your code. Thank you. If you need help registering your account you will find links to a Quick Reference Guide and a short video tutorial here.